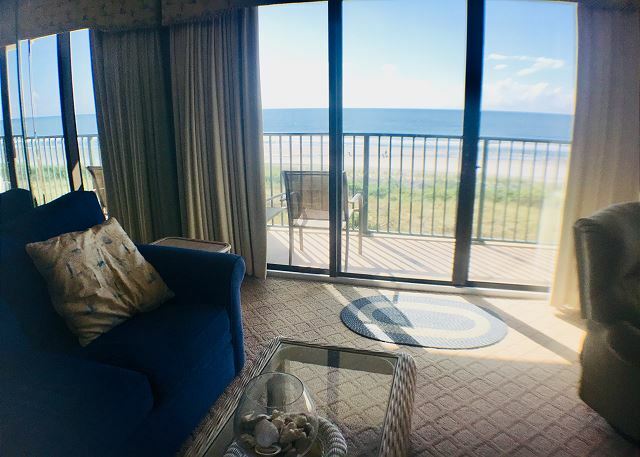 Lose yourself to the gentle sound of the Atlantic Ocean as you relax on the spacious oceanfront balcony of Beach Club III 3B. 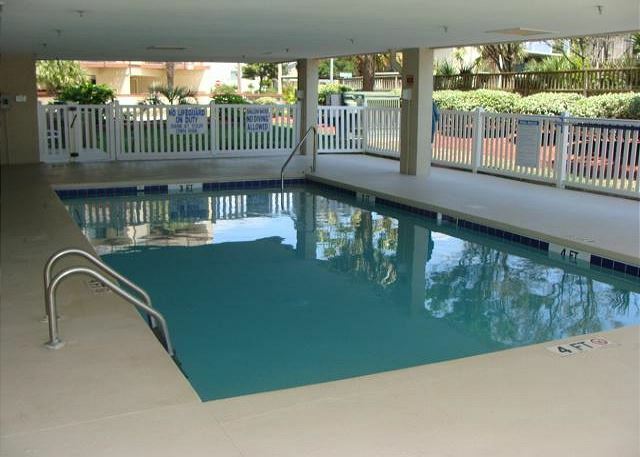 With its large open floor plan, this spacious 3 bedroom condo is perfect for a family vacation or golfer's getaway! 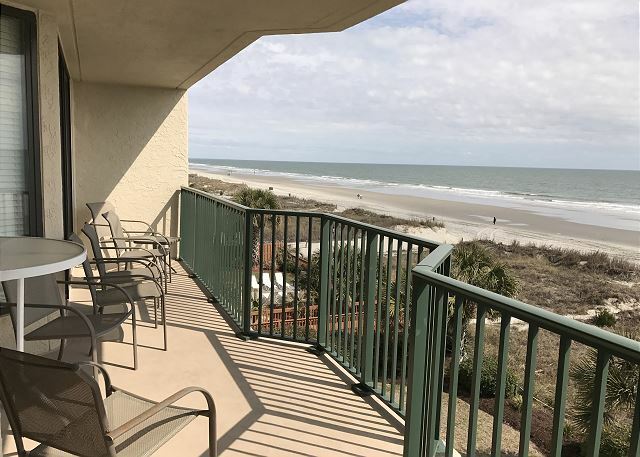 This 3 bedroom/ 3 bathroom North Myrtle Beach condo can sleep up to 8 people and has a sparkling outdoor covered pool, parking for 3 cars and a direct access to the beach. 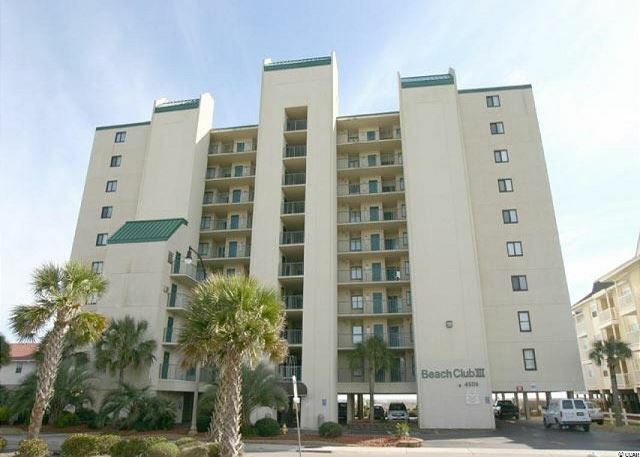 Beach Club is located in the Windy Hill section of North Myrtle Beach. 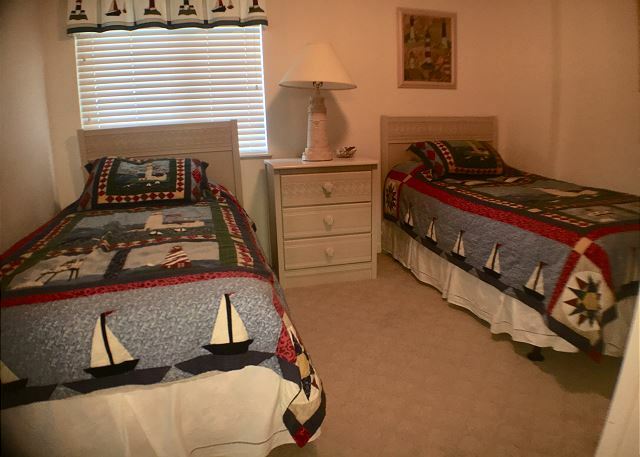 It is centrally located and close to Barefoot Landing. 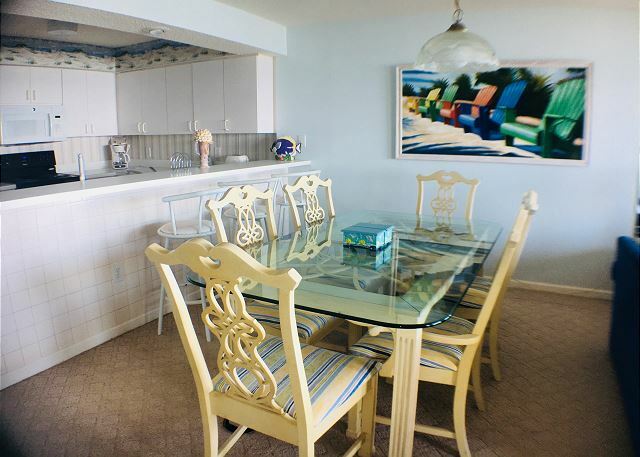 There is an abundance of local shopping venues, appetizing dining options, world class golf courses and dazzling nightlife, Beach Club III will fulfill all of your vacation dreams! Living room features an open living space with dining area and fully equipped kitchen. 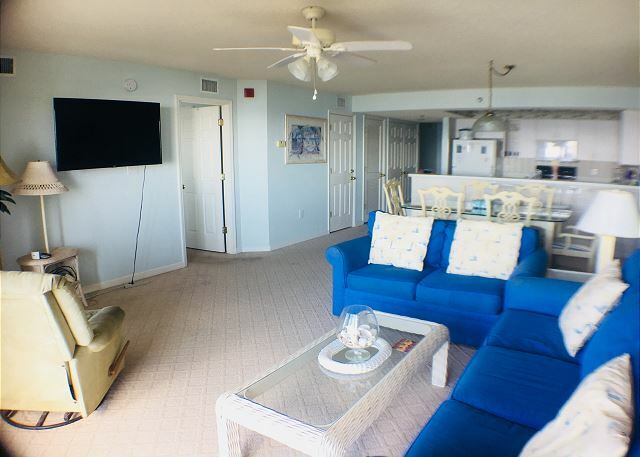 The living space offers comfortable seating with a queen size sleeper sofa, 50 inch Roku enable Smart TV, free WIFI, and oceanfront balcony access. 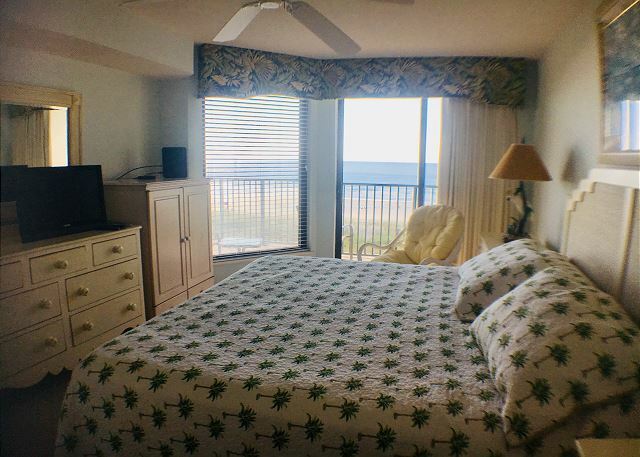 Master Bedroom- King Size bed, flat screen TV, oceanfront balcony access, private restroom with jetted tub and separate shower. 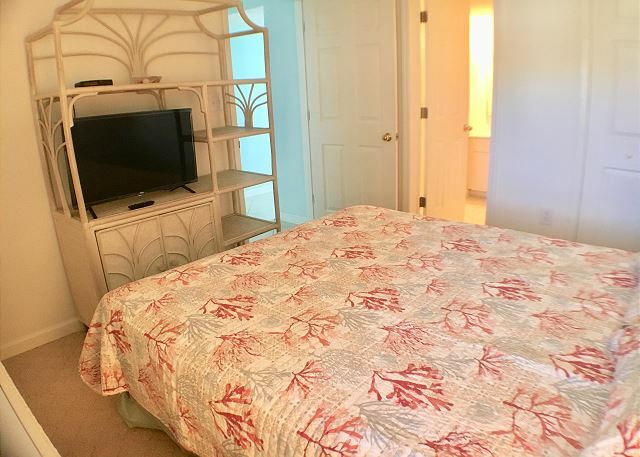 Master Bedroom #2- Queen Size bed, 32 inch Roku enabled smart TV, private restroom with tub/shower combination. 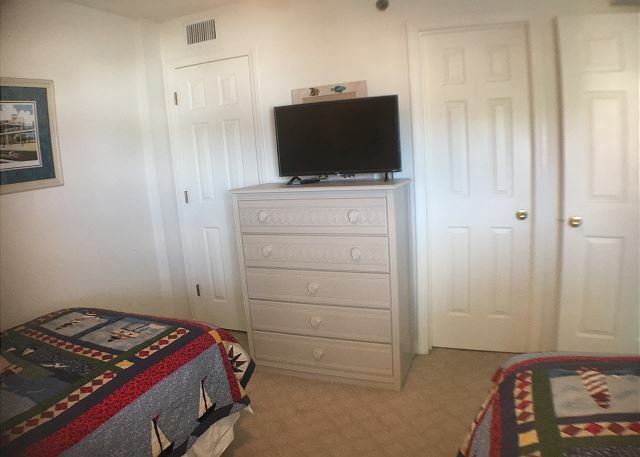 Guest room- 2 Twin beds, 32 inch Roku enable Smart TV, direct access to hallway restroom with tub/shower combination. 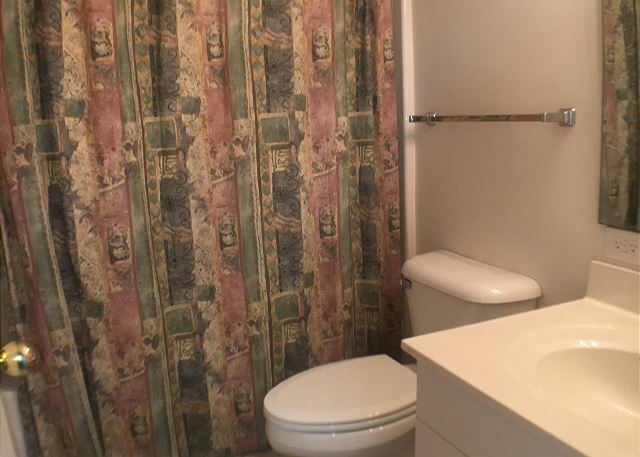 All linens and bath towels are included, except for linens for the sleeper sofa (Queen Size) For your convenience, this home includes WiFi, a washer and dryer, and parking for 3 cars. Cathy, thank you for your kind words and gracious review. 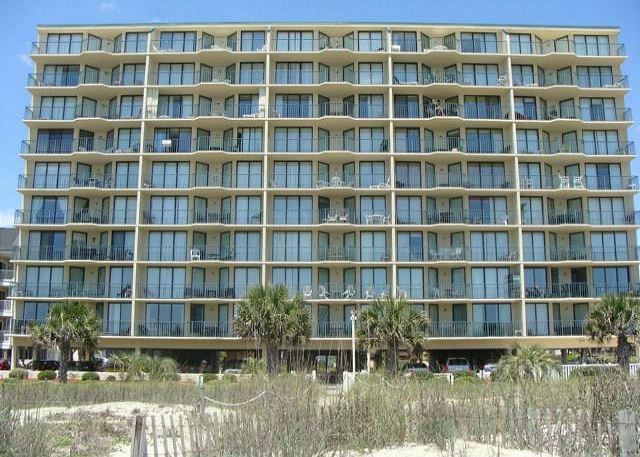 We think Beach Club 3-3B is pretty awesome as well. We hope to see you again! 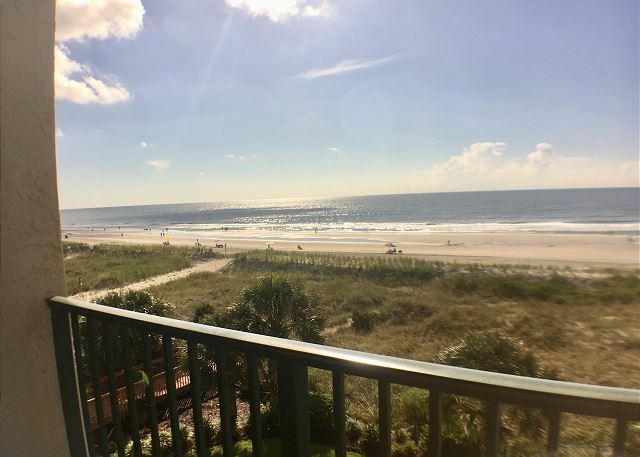 Our visit was interrupted by Hurricane Florence after only 3 days, but at least at that point we were very pleased with the accommodations and the property in general. Parking is tight, but that is not unusual in this area. Southern Coast was easy to work with, did most arrangements online through their website. They did refund unused days for our stay very promptly, and that was very much appreciated. I would use them again and would come back to Beach Club III. Thank you for your review. Florence put a wrinkle in everyone's day, and I am so sorry you were unable to enjoy your full vacation. Thank you for being patient and understanding when the mandatory evacuation was ordered. We can't wait to see you again. I always rent from Southern Coastal and am always happy with them. They are always so helpful. The condos they rent are generally in decent shape. Paula, thank you very much for your great score and warm review. We are glad the team made a difference and you enjoyed your stay with us. We are waiting to welcome you back on your next time. We had a great time. Waking up to the beach watching the sunrise on the beach or balcony. It was great. Thank you for your kind comments and agree the sunrise is the best in Windy Hill!! We hope to welcome you and your family for another stay with us soon. Another great Beach Club III vacation. We have been coming here for many years, and consider it a second home! Good day Sandi, thank you very much for your great score and warm review. We are glad the team made a difference and you enjoy each stay with us. We are waiting to welcome you back in 2019! 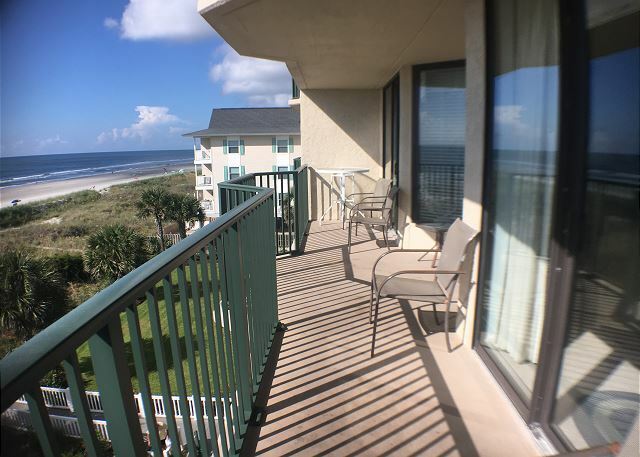 This condo had an amazing view of the beach and was a beautiful place to stay. 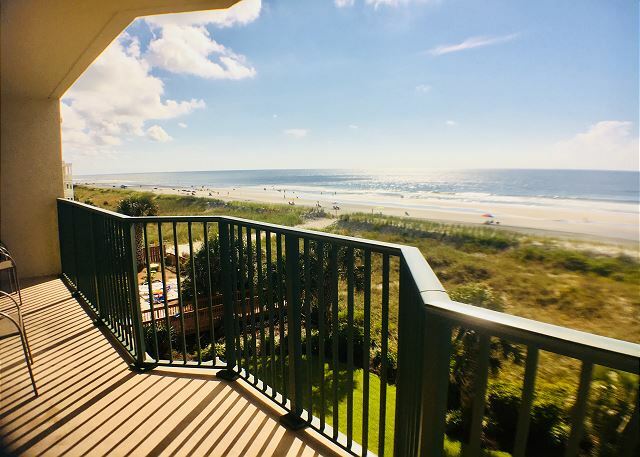 We love Southern Coast Vacations. Everyone is so nice and helpful. 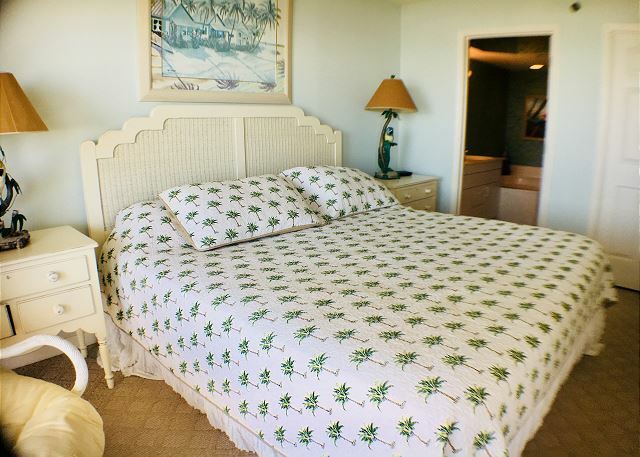 Beach Club 3-3B is also our favorite place to stay. Building and grounds are well maintained. The condo itself is very spacious. We had 6 adults and 1 child with plenty of room. The only negative I can say about the condo is it does need a little updating and could use new tv's. We love you too! Can't wait to see you next year! 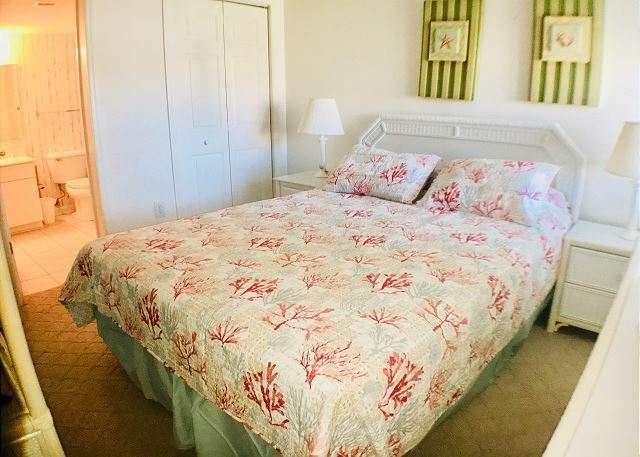 The property is in a great location & right on the beach. Parking on the property is a nightmare. There are very limited parking spots under the building & not assigned, with overflow parking across the street. We did like that the pool is under the building & in the shade. 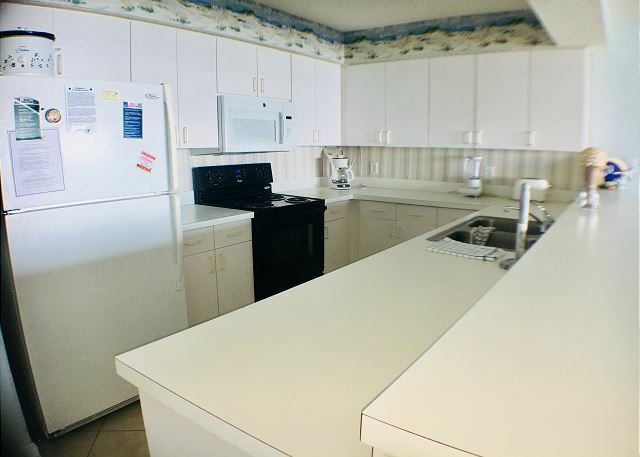 The condo needs to be updated; wallpaper was pilling off the walls, needed a new coat of paint everywhere else, plastic stripe was sticking out at the corner of the kitchen, kitchen chairs were falling apart, very small TV in the livingroom. King size bed sqeaked with every movement. The condo tile floors left our feet black & blinds were dusty. I did call & the cleaning lady came out & dusted the blinds & used a swifter sweeper on the tile; but it needed bleach mopped with plenty of scrubbing. Maintenance came out & glues the chairlegs back in. You have to carry all trash across the road behind the overflow parking garage. Hi Mary, Thank you for your review and we appreciate you letting us know about your concerns and giving us the opportunity to address them. 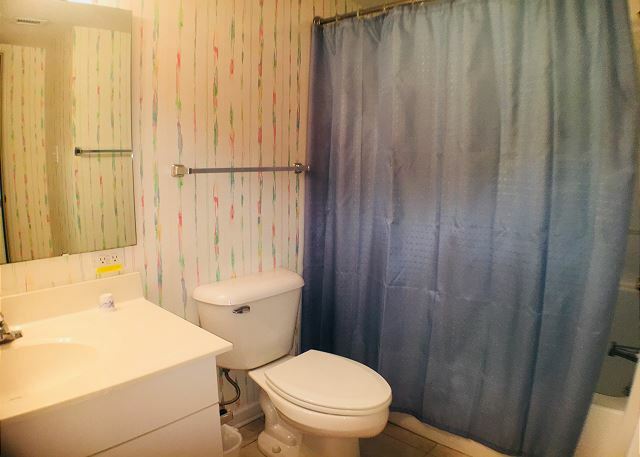 The owner has removed the wallpaper in the hallway and there is a fresh coat of paint in the living room and master bedroom. The tile was professionally cleaned. There is an overflow parking lot across the street from the complex with plently of parking, so we do offer 3 parking permits and parking is free at this location. 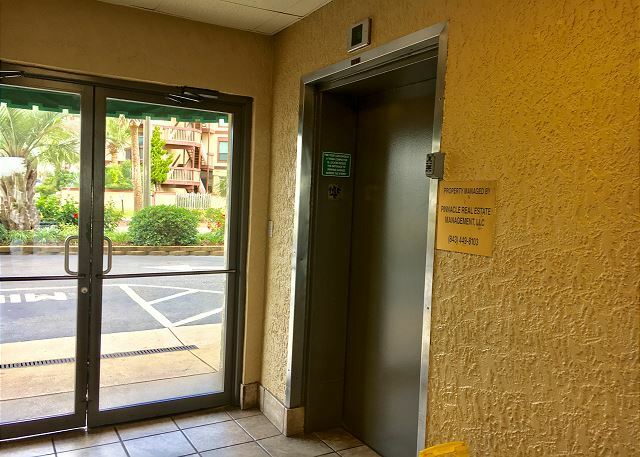 When you arrive at the complex, there is a 15 minute unloading area with luggage carts to unload your personal items. Parking under the building can be challenging, and there is limited space. We do suggest using the over flow parking garage across the street. New Smart TVs in the living room and 2 guest rooms will be installed in early June. 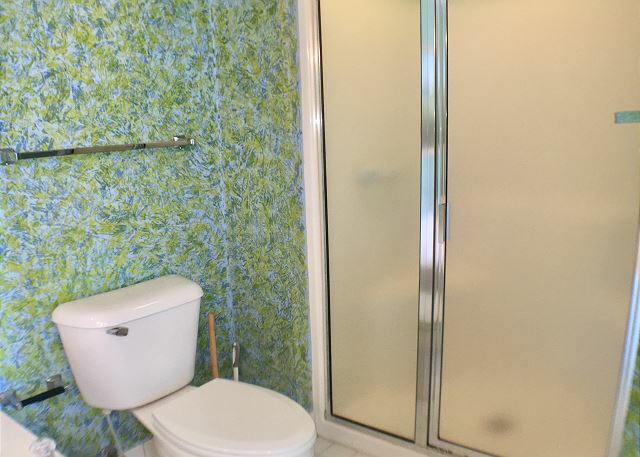 We had a great time, but I think the owner is not keeping this property as clean and updated as it should be. Timothy, we are glad that overall you enjoyed your stay with us. Thank you for pointing out things we can improve on as well. We take our guest feedback quite serious. 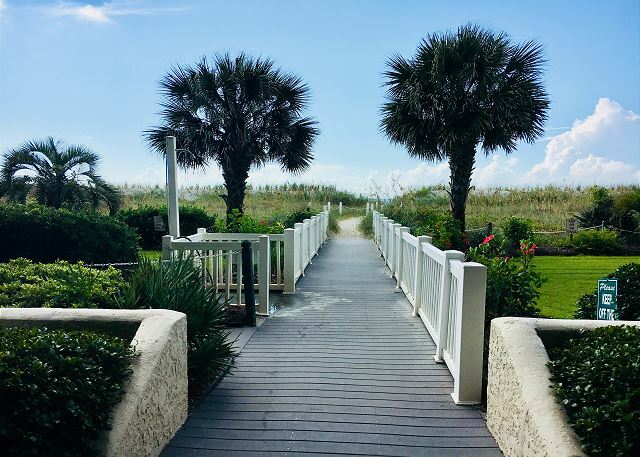 We hope you choose to stay with Southern Coast Vacations next year. Overall we had a pretty good experience and we absolutely loved the view and location. Very family oriented place and we had no real issues so the communication with management / staff was very good in the limited moments. Our only real complaints if you can call it that were with the furniture in the actual condo mostly and TVs. Very outdated, almost like a 60 or 70s and one small newer TV in the place and a couple of very old ones in the rest of the room. This is ok I suppose and we lucked out with great weather both weeks but on a longer stay or bad weather days it's pretty boring. Again this is up to people and circumstances since you don't go to the beach to watch TV. Besides furniture being very outdated, some of the pillows and sheets and blankets seemed to be past their life cycle with some staining probably from over time.. Not dirty I guess just old mostly. Other than that it was spacious and a great spot. Balcony was absolutely great to relax on with a coffee or drink after the beach. Pretty great sunrise view if you wake up early enough. Thank you for your feedback. We take our guest suggestions seriously and we are very happy you enjoyed the amazing view! 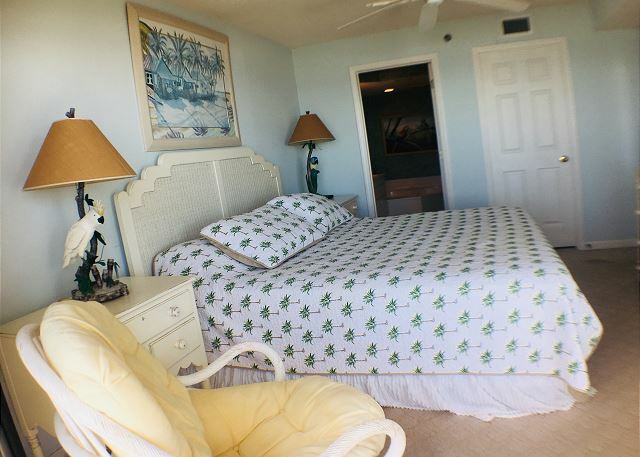 The bedding has been updated, the Living Room TV and 2 guest room TV's will be updated with Smart TVs in early June. We stayed in Beach Club 3B. The unit was fine, a little dated but had everything we needed. The wifi did not work according to directions. However I called and Southern Coast responded immediately. I am not crazy about this end of Windy Hill because the beach isn't the best. However, Southern Coast is great to work with and the building manager is great as well. Thanks for staying with us Renee. You were a wonderful guest and we hope that you stay with us again next year! 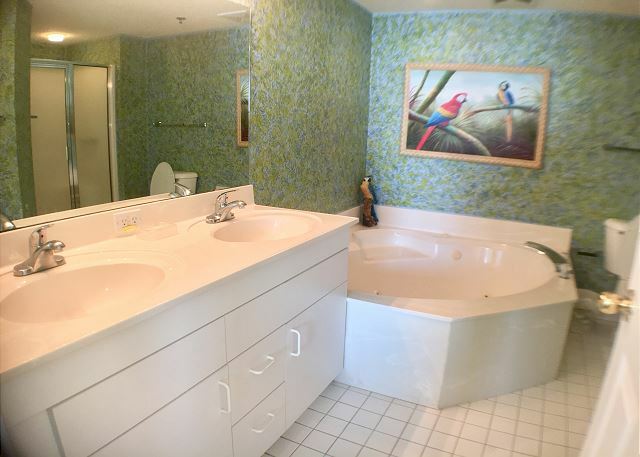 The condo was very nice and clean. The only complaint is the cable tv in the master bedroom did not work. We had a great stay. The location of our condo was perfect. 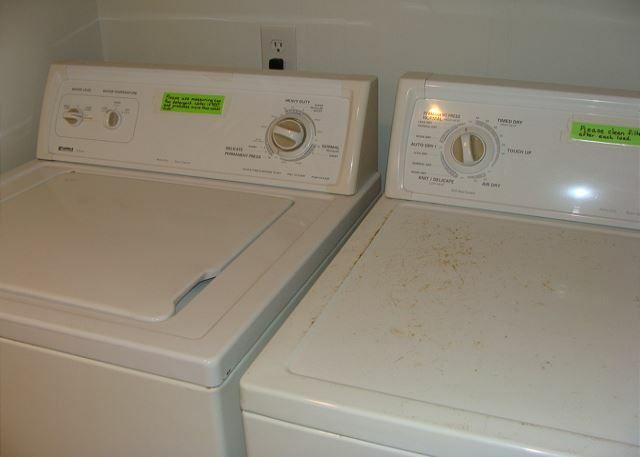 The condo was clean, linens provided were convenient and check in and out was easy. Our agent, Debbie Philbeck, was professional and very pleasant. Great customer service getting in. Location and room was wonderful. We had a great 4th of July staying with southern coast. 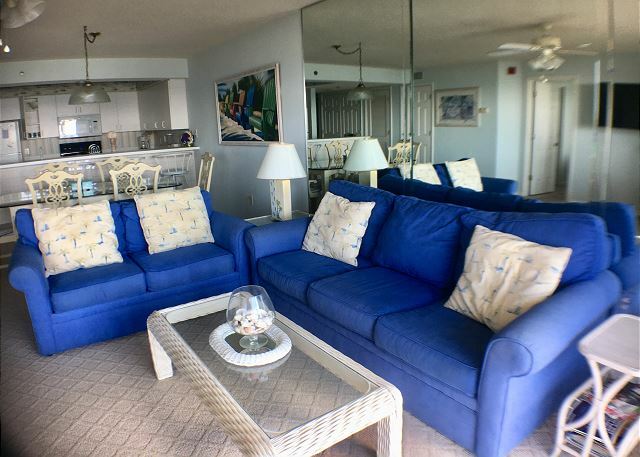 Thank you for choosing Southern Coast Vacations and Beach Club 3-3B! 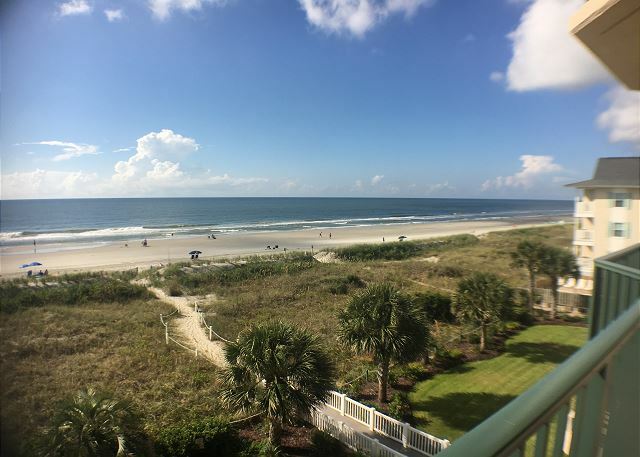 We are happy that you enjoyed your 4th of July holiday and hope to see you again on your next beach stay!